Energetically a very busy day, silently, subtly, strongly…. much is occurring on a micro-cellular & to our bio-engineering Body Field System. All Stargate systems & our own HUman StarGate systems are in completion phase of our new link-up mode still. We & Earth Gaia has been coming to a halt (axis point)…. reaching zero point to then reverse-field-spin/polarity, to go to critical mass to catapult us through the next StarGates, converge multiple timelines simultaneously as we shift to a higher vibrational plane of existence than before. Observing the Crystalline Matrix Super Quantum Computer System of Galactic Earth Ship Gaia and our own bodies experiencing simultaneous re-works, for “Dedicated Servers” (love the pun/multiple meaning here), WE are operating on minimal capacity until we/all activates to be brought fully back online with higher processing speeds/abilities again. Observing the amount of re-configuring going on, this is going to be the BIGGEST we’ve ever experienced in this incarnation here…. Our CPU’s multi-core processors will be completely installed when we complete this process…. The increasing intensity of these geomagnetic re-encodements and re-calibrations are beyond powerful and require more focus for us all. No more trying to do it all 24/7 (even though I do, lol), setting aside the time/space is necessary for me to fulfill my own gridkeeper/gatekeeper duties (that take precedence above all for us) and is necessary for me to honor me and my own NEW BODY FIELD processes without others continual demands, requests or physically being in my field when I need to complete these processes before I can do anything (at Super Quantum Speed again)…. This BODY FIELD SYNCHRONIZATION is beyond anything I’ve observed before, yet not so taxing, just can’t do anything other than honor what my own body & field are doing to complete this NEW LINK UP SYSTEM that activated a few days ago…. 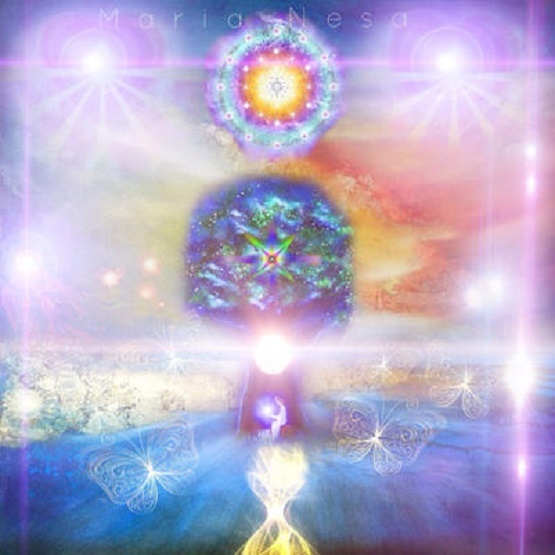 We were averaging 2 “pure source light” upgrades a month where our Crystalline LightBodies vibrations are raised powerfully and our entire fields cleared and both synchronized instantly (for me this is accomplished by shutting completely down and going deep upder in an all-day-sleeping-integration cycle for this to occur). We are “due” for this any day now… I thought it might be today, yet nope…. quiet busy, not blasting…. which is peaceful integration time where we just honor…. Now, others in various degrees of frequency bandwidths and crystalline stages will experience on different cycles than we do. Some may be feeling more energized right how, lighter, easier to function, as we all rotate at different cycling speeds, dependent on the carbon based to crystalline ratio within our physical body structures. And while it’s taken me about two hours to write this, now our/Gaia’s crystals/crystalline structures are activating, quickening, shaking, charging consistently as I complete this to share with you. Guess we will see what’s next or how long…. a few hours or another day or so…. Updating as we go! For me, a day of rest and working from my bed (again), andaras all around me (and my huge new moldavite too!)…. We continue the huge integration/reconfiguration process…. deep into our muscles this week (every time we go through Crystalline Matrix re-gridding of Galactic Gaia and our physical bodies we do this). My “giggling jiggling matching” has been a lifesaver to work through every part of my own structure when it tries to tighten up and needs “more” to assist with this…..A natural way to work the body and when I find myself saying “I need a massage”… onto my machine I go… and instead of “10 minutes”, I use it in 10 minute increments to work my body’s muscles through vibrational stimulation…. and ohhhh myyyyyy the exquisiteness as my body re-relaxes again. It’s perfect for loosing all up, unanchoring pent up energy and fir re-organize my own cells and create more “space” for all to move-about easier too! ♥ (I’ll post a link to one at the bottom of this sharing here). Yet today….. laying around and typing “no brain/exertion of energy” work is all I can muster right now until this process is complete. Brain/body doesn’t process as our crystals/computer goes through an immense operating system upgrade too. I’ve recently decided to clear the whole week after every New Moon (for the rest of my life), so I can easier honor as a Gatekeeper/Gridkeeper my own need for alone time while we go through these intricate re-writes, being taken offline and just need “be time” without any external interruptions that take away from what we need to/are here to do for all of HUmanity here.